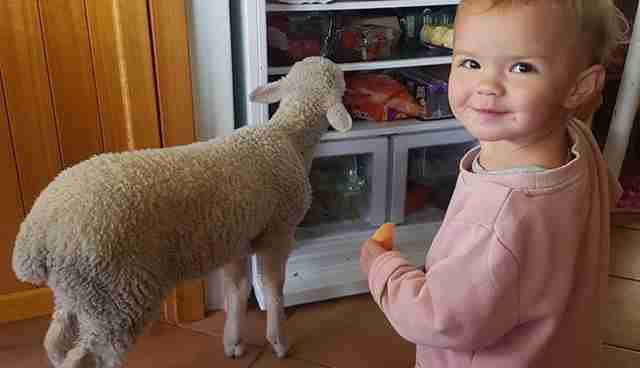 Their favorite thing to do together is raid the fridge. Right from the start, Pikelet proved himself to be a fighter. 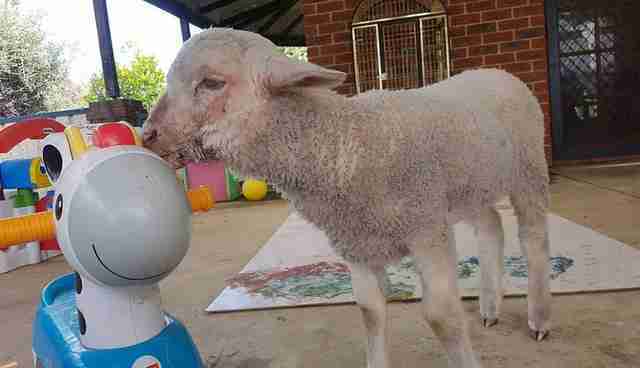 The lamb, who is only 12 weeks old, was found alone with a smashed jaw on a country road at the beginning of September. He also had a huge gash on his nose and had lost most of his front teeth. His wounds and the smell that came from them suggested he had been on his own, injured like this, for quite some time. 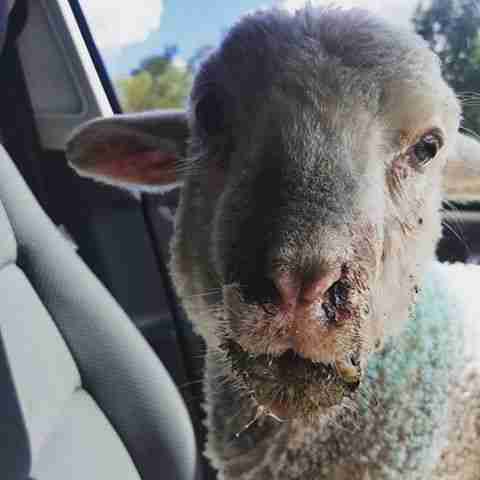 "We can't be sure what happened to him, but his injuries are consistent with a fall from a trailer," Rachael Parker, founder of Australia's Greener Pastures Sanctuary, told The Dodo. 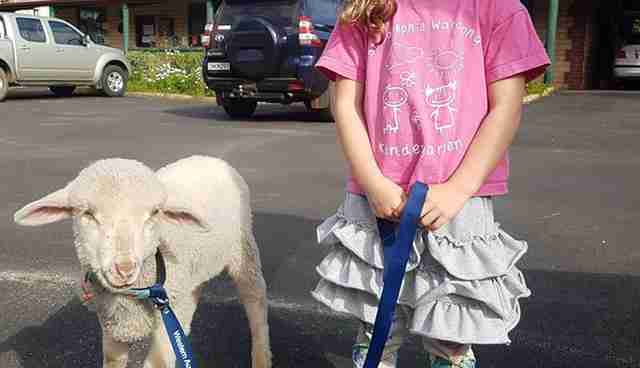 Either by luck or on purpose, Pikelet had managed to escape slaughter. Parker immediately took Pikelet to a veterinarian in order to wire his jaw and save as many of his remaining teeth as possible. 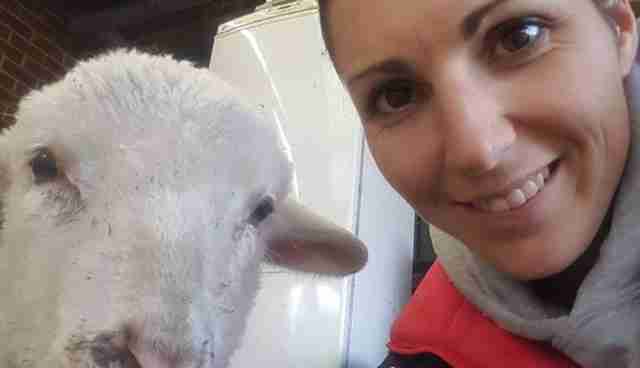 "His jaw was screwed back together despite our vets being worried about infection and his quality of life," Parker said. "Unfortunately, the screws came loose and he had to have a second surgery to wire his jaw." 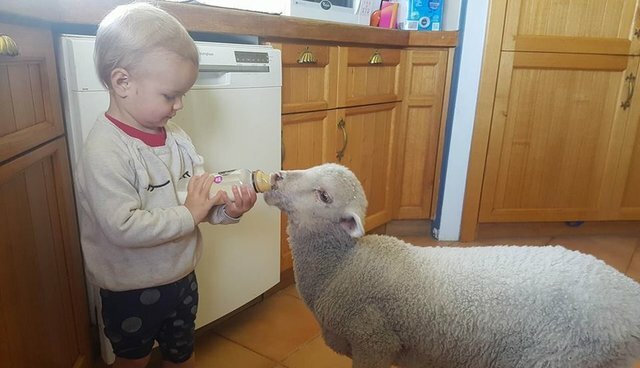 "He was dehydrated, infected and in so much pain," Parker said about Pikelet when he was first rescued. 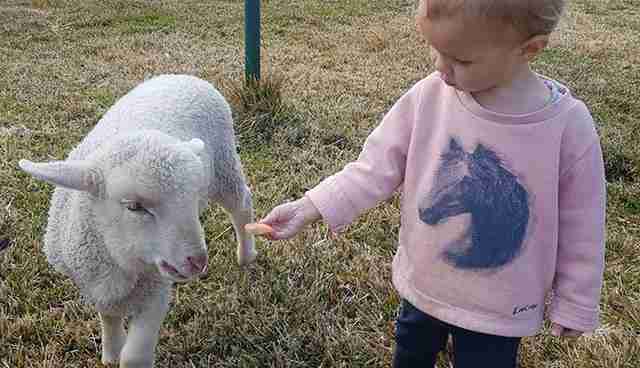 "Despite it all, he was so trusting of us. He's a brave little guy and obviously a fighter. We couldn't give up on him." 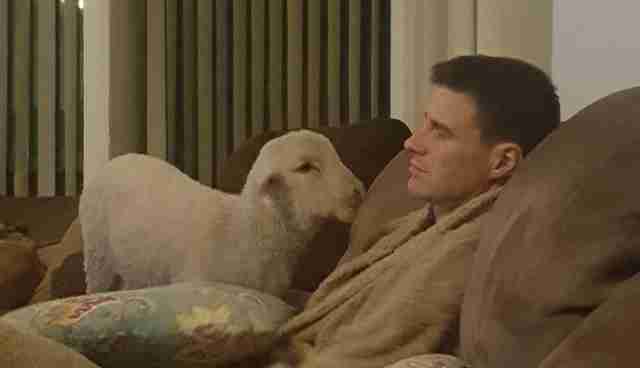 Until Pikelet is completely better, he's an "indoor lamb," and has been living in Parker's home and getting plenty of love from Parker and her husband. He's also struck up a friendship with their daughters, Phoenix and Aurora. 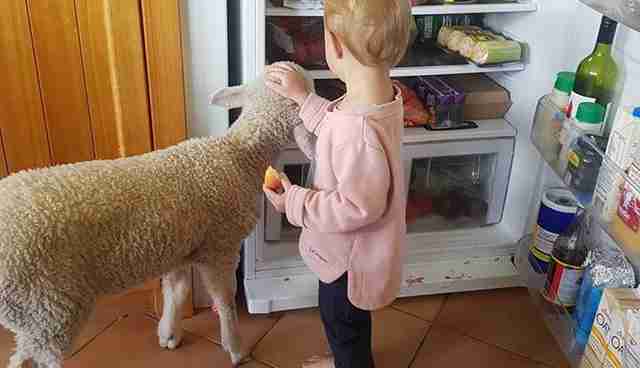 Pikelet especially likes to explore the refrigerator with Aurora, take walks with her and even watch TV. "We are only just starting to see glimpses of his real personality as the pain subsides," Parker said. "He has been so so brave, just gets on with life no matter what. 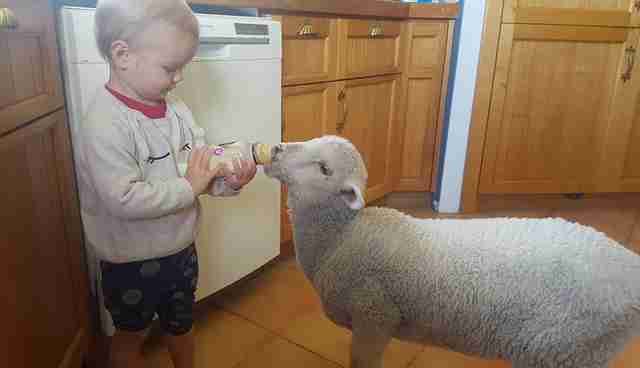 He has started to play and run a bit but still loves to sit quietly and cuddle, he's a real mama's boy," she said. 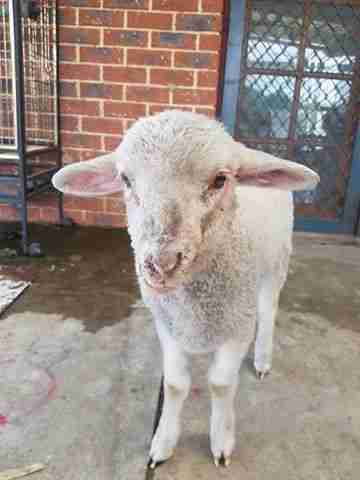 Want to help Greener Pastures Sanctuary continue caring for Pikelet and other animals like him? You can make a donation here.